Chicken Roll Ups low carb style..
As much as we all love chicken parmesan the breading is not compatible with low carb eating. So this recipe puts lots of goodness inside the chicken breast. It really works but you must take care not to overcook the chicken. Preheat oven to 350 degrees, and prepare small baking pan with cooking spray. Put chicken breasts in large zip lock baggie, flatten with meat mallet to 1/4″. In medium bowl mix ricotta, parsley, parmesan and 1/2 C mozzarella cheese. Season with salt and pepper. Spread cheese mixture over each chicken breast. Top this with 1/2 can tomatoes divided evenly over each chicken breast. Carefully roll chicken and and set with seam down on baking pan. Sprinkle shredded parmesan over each piece of chicken. This forms a bit of a crust. Bake for 25 minutes. Remove from oven, add remaining chopped tomatoes and remaining mozzarella. Check internal temp of chicken rolls. Bake for about 10 minutes more. Done when internal temp of 165 is reached. Watch this carefully or chicken will be very dry. Slice each piece of chicken in half before serving. 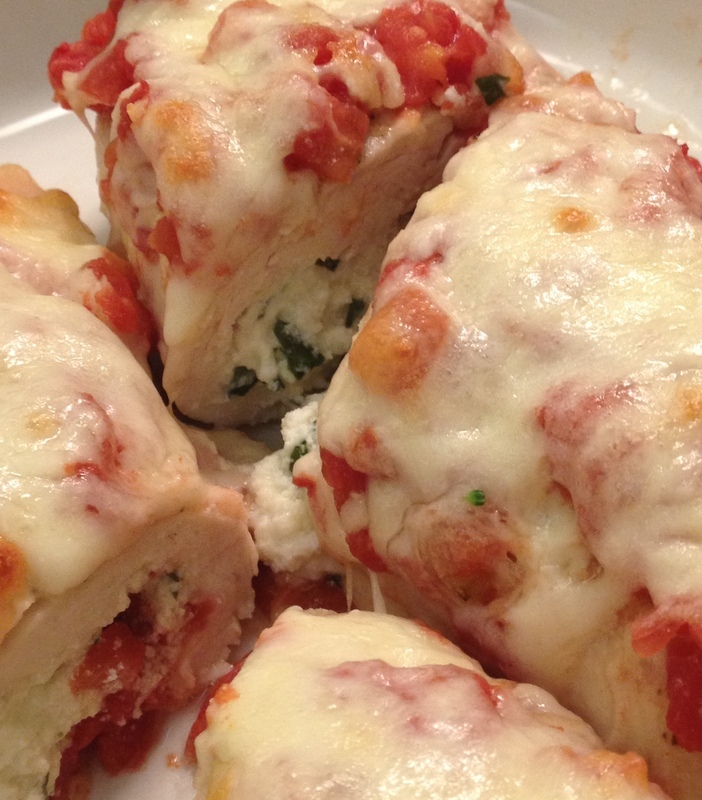 Alternate options- Before spreading the cheese mixture on each chicken breast put a slice of prosciutto first. The saltiness of this would be great. Or add chopped baby spinach to cheese mixture. I decided I really should try a recipe from my last post. 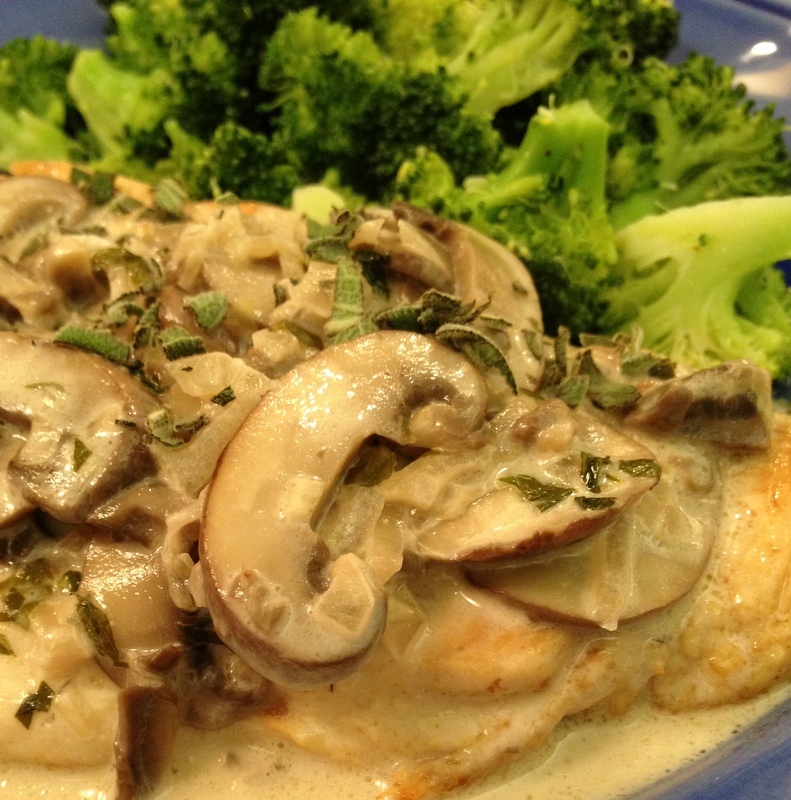 Low-Carb Chicken Breasts with Fresh Sage and Mushrooms. It was so good and so worth a little extra effort. I served it with fresh steamed broccoli with butter and a big green salad. The sauce was so good I wanted to lick the plate! Not sure I am a huge fan of fresh sage so I used it sparingly. Below are a few pictures taken during preparation. 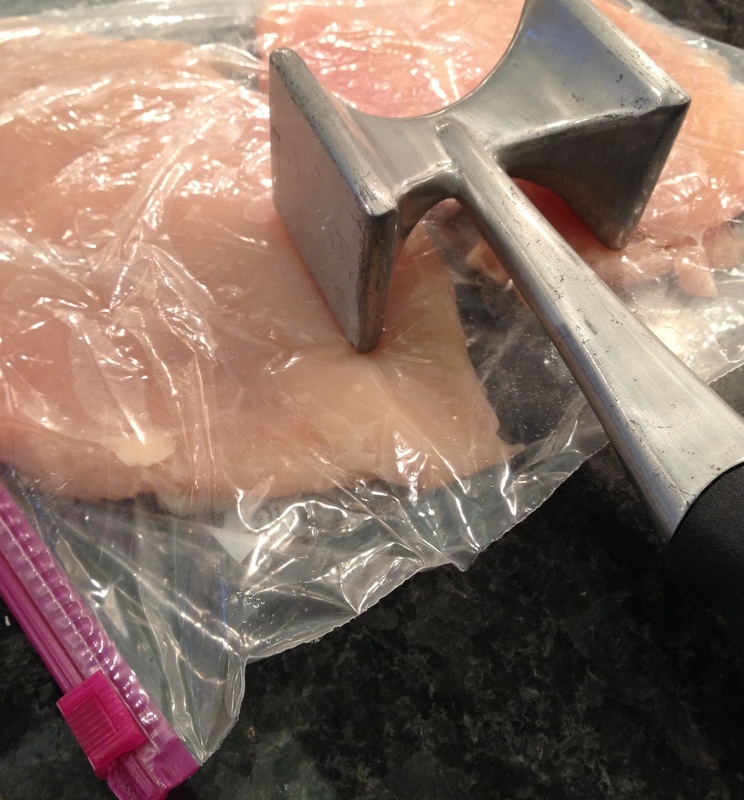 I find putting chicken breasts in a zip lock bag before flattening with meat mallet saves a big mess. 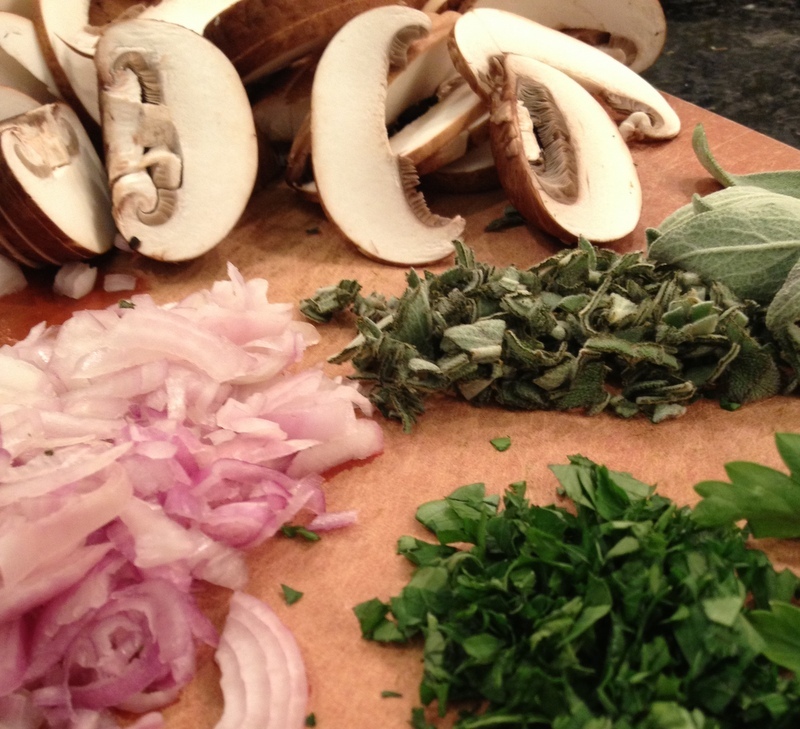 I also prepare all the sauce ingredients ahead of time, then making the sauce was a breeze.